It's time to put 2015 to bed. In this year-end wrap up, the boys talk cryptography, space, restaurants, and internet open signs. Then they go on to give themselves grades in four subjects for 2015, and discuss how 2016 could be different. Jody talks with Ten Gallon Hat Man after episode-58, and decides to give Google Keep a try (it hasn't gone well). Dine Time App Reserve your ramen or Cracker Barrel table now! Signal Android App, want bullet-proof encryption for your mundane SMS chatter? Deft handling of race from white people. c) those in that latter group are worse at reality. Also, what does a good skeptic do when science appears to confirm the narrative she prefers about the world? Space! 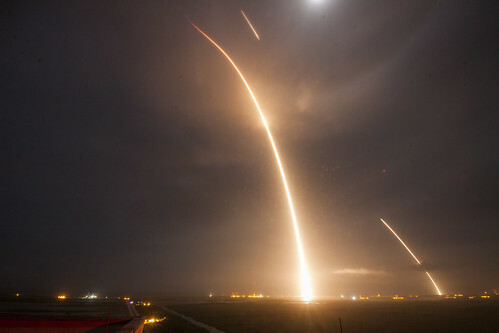 SpaceX just did a wildly impressive thing. Where does it fit in the history of space related achievement? Mr. Pieces believes it's more significant than the moon landing. Year in review: we give ourselves grades in various "subjects" of life. Eg: fitness, $-management, jobby-job performance, percolating creative tasks, husbandry, home maintenance, etc.